The story Greg Brown tells about his sister is something you expect to find in one of his folk songs. Older by three years, Sharon tended to look out for little Greg rather than torment him, as is the case with most big sisters. Like the time 4-year-old Greg scrambled over a fence to escape a boy chasing him. Unbeknownst to Greg's pursuer, Sharon patiently waited, a broomstick in both hands, for the boy to follow her brother over the fence. When the boy ambled over, she bonked him on the head, hitting him so hard she broke the broom's handle. "She was more of a defender," Brown said. "Except when it came to my allowance. "Their parents would give each of them 50 cents a week. "By the time we would get to where we were going with it, I would be down to a dime," Brown said, chuckling. "But I didn't mind." Nope, he wouldn't, especially when it comes to family. The noted singer/songwriter, a regular on Garrison Keillor's "Prairie Home Companion," puts as much stock in family as he does his music. Take, for example, his 2004 release "Honey in the Lion's Head" (Trailer Records). It features the usual suspects — sidemen Bo Ramsey, Al Murphy and Bob Black — but it also includes musical support and harmonies from Brown's daughters Pieta and Constie and his new wife, folksinger Iris DeMent. Third daughter Zoe did the artwork. The disc is a collection of folk standards from the public domain. It boasts 12 traditional tunes, ranging from "Old Smokey," "Down in the Valley" and "Samson" to lesser-known works, such as "I Will Never Marry." They are the kinds of songs that were taught to many of us by our own parents. "I had made a tape of these songs as Christmas presents for my daughters," Brown said, explaining how the record came about. "My oldest girl told me I should make a recording out of it." There's that family thing showing up again. Brown's kin is a big reason he's where he's at today. His father, whom Brown called "quite a character," ran a TV/radio repair shop after fighting in WWII. When Greg was a toddler, his father felt the call to the ministry. He went to Bible school, earned a degree and began to preach at churches around the central Midwest. Music was a staple. At church there were hymns and gospel music, and at home classical, hillbilly, early rock 'n' roll, country and blues could be heard. Brown studied classical voice and piano as a kid and sang with choirs in state competitions. When he was 6 or 7, he picked up the pump organ. At 12, he learned guitar basics from his mother. She was an English teacher, so great books and poetry became early songwriting influences. Then there were his grandparents, who provided a sort of stability for him. His mother's folks lived in Iowa and his father's in the Ozarks. He visited both often. "Those places were touchstones for me," he said. "They didn't change. My home changed because we moved so much, but those places were always there (for me)." Brown even wrote a tune about his father's mom. "Ella Mae" is found on his 1993 release "One Night …" (Red House Records).His daughters covered the tune on "Going Driftless: An Artist's Tribute to Greg Brown," a 2002 Red House disc featuring all female singers that raised money for the Breast Cancer Fund of San Francisco. There's that family thing again. Brown's professional music journey began at age 18 in New York City, running hootenannies (folksinger get-togethers) at the legendary Gerdes Folk City. He had headed East after winning a contest to play an opening set for singer Eric Anderson in Iowa City. It was Anderson who encouraged him to see the world. After New York came Los Angeles and Las Vegas, where he was ghostwriter for Buck Ram, founder of the Platters. Tired of the pace, he moved back to Iowa and began writing songs and playing Midwestern clubs and coffeehouses. Today he splits time between his grandparents' farm he now owns in Hacklebarney, Iowa, and DeMent's home in Kansas City, Mo. "Home is home," he said. "You can't buy that feeling. There's no substitute for it … that feeling of being at home." At age 55, some would say Brown is heading into the twilight years of his career. The songwriter admits he's slowed down some. 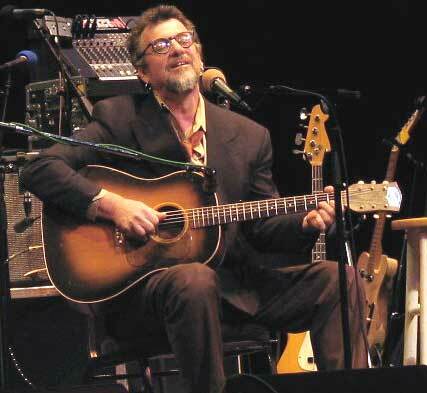 He doesn't tour as much anymore, and he's recorded two discs — "Honey in the Lion's Head" and "Over and Under" (2000) — at nearby Trailer Records in Iowa City, Iowa, rather than heading north to Red House Records, the indie label in St. Paul, Minn., he founded in 1980. He's even toying with recording at home and recently purchased a CD recorder. "I find I want things simpler as time goes by," he said. "Sometimes simple feels better to me." One thing, however, remains constant: His devotion to his family. "I think (family) is an important thing," he said. "America is a lonely place of condos and houses," he added. "People believe if they buy enough s---, they can be happy. That plan doesn't always work. Hopefully, someday, that will change."